The LSAT Logic games section is the section that most people find the most difficult when starting out LSAT prep. Whereas most of us have honed our reading and critical thinking skills considerably over the years, it’s less often that we’ve been asked to group campers in two canoes when there are crazy rules about which campers can go together. Fortunately, the logic games section is also the most teachable part of the LSAT and the easiest to develop true consistency on. Here we give you a bunch of tips and tricks that will help you on your way to logic games mastery. Learn a good, consistent method of diagramming logic games from a reputable LSAT prep company, then apply these tips. We promise you will see major results. This isn’t so much a tip as a command. Logic games is the section where it is most important to get a good system and stick with it. Mastering the logic games section requires a lot of diagramming. Diagramming means being able to write down rules and the general setup of a game using special notation that allows you to work through the game faster. The best diagramming methods are consistently faster than some of the worse ones out there. Pick one and stick one and stick with it. Avoid Kaplan and Princeton Review as if your life depended on it. We always suggest that prep students use the recently updated PowerScore™ LSAT Logic Games Bible to prep for the logic games section. 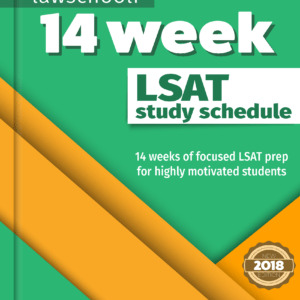 Consistently recommended by top LSAT scorers on the forums such as TLS and LSD, it’s the book Josh and I both used as well (Josh got none wrong on LG, I got only one wrong). The recently revised edition provides 600 pages of fantastic instruction, advice, tips, and plenty of drills. The LGB also uses real, official LSAT prep questions to give you practice. 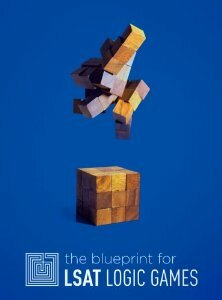 Another great LG prep option is the BluePrint™ For Logic Games, the recently published first offering from the well-known LSAT prep specialists BluePrint. 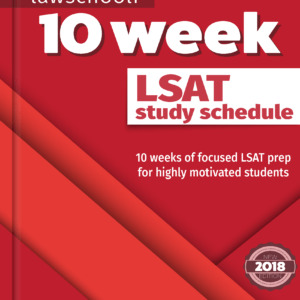 Both this book and the Logic Games Bible present methods of attacking the LSAT logic games section that are similar, and both methods are fundamentally correct. Which you choose is going to come down to learning style- The LGB is very straightforward and no-nonsense, whereas the Blueprint book provides a humorous and unique presentation. It won’t do you any good to dive right in to logic games and do every type of game before you’ve been shown the ropes. Here’s how to approach games methodically: the LGB divides games into four major game types: basic linear, advanced Linear, and combination games. Start with basic linear games in your Logic Games Bible doing all the drills and practice problems. After you’ve done that, go through early preptests and pull out games of that type to do drills with. We recommend using games from the first 30 LSAT preptests to do this (the remaining 40 will be used for combined practice and doing full simulated practice tests). Check this list here to make sure you have every published official LSAT preptest. After finishing repeat the process with advanced linear games and so on. Doing this gives you a much firmer foundation than just going straight through the LGB. The first question in any logic game is usually a rule checker- one where you are asked to determent which of the answer choices is an acceptable ordering or grouping of the variables in the game. There is always the same simple way to approach this kind of problem: take each individual rule and go through all the answer choices to see if it is violated. Usually each rule will be violated only once or, if there are more than four rules, some will not be violated. I recommend that you diagram your rules before doing this question, and use your diagrammed rules rather than the written out rules to refer back to when going through the answers. Looking at each diagrammed rule one at a time then checking through the answer choices also helps you remember the rule. Doing the question with your diagrammed rules is also a good time to check over your rules a little. If a rule is not violated somewhere in the answer choices, quickly double check to make sure you have diagrammed the rule correctly. When you start out with games, they are likely going to take you way longer than the 8 minutes, 45 seconds per game that you will try to average on test day. This is totally fine! Neither of us were hitting games that fast until way later in our study. Learn to do the games un-timed correctly and accurately before you even think about adding time pressure. Your brain needs to learn how to do them right before it can build speed. Say you are getting down to the last two games on a section and you only have fifteen minutes left, less time than you will typically need to do these two games. Rather than just barging ahead thoughtlessly, look at the two games. It turns out one contains 5 questions and the other has 7 questions. You should do the game with more questions first. Doing the setup of a game can be thought of as an investment, and the dividends paid are correct answers on the questions. Games with more questions are a better potential investment if you have limited time and must choose between two games. The one possible exception to this is if one of the games looks way way easier than the other one. Depending on how much time you have, it may be worth it to power through an easier game quickly and get points you are more sure of your ability to grab. Learning how to makes decisions like these requires a lot of practice, which is one of the reasons why practicing full timed sections often is such an important part of your prep. See our schedule to learn when you should begin doing full timed sections. Although rules look scary, it’s best to think of them as your friends- each rule helps limit the possibilities for where variables can go severely. If you are missing one or forgetting about one, a perfectly easy question might become simply impossible. Whenever it seems like you are spinning your wheels more than usual on a question, calmly and quickly recheck to make sure that you diagrammed every rule and that you are remembering to apply each rule to the question that you are working on. It is super easy to mess up diagramming rules. While accuracy builds as you practice, even veterans misread one occasionally. Learn to realize when something is harder than it should be and recheck those rules! Always Look At Each Answer Choice Even If You Think You Already Found The Right One. Say you are doing a “could be true” question (one where you are asked to identify whether a position of one or more variables is possible) and you think you have arrived at the right answer. Though it would save time, it’s a bad idea to just move on unless you are 100% confident you found the right answer. Look at the other answer choices. Does one of them seem like an acceptable answer as well? Then you may have just saved yourself a missed point. You know they can’t both be acceptable, so look at both of them closely to figure out where you messed up. I can’t tell you how many times I caught wrong answers using this technique. Don’t miss easy points due to overconfidence! It’s easy to be lazy when doing practice tests and just take down the first likely answer, but that is a mistake. Get in the habit now. Because checking every answer takes some extra time, you need to do it on each and every practice test to get your sense of timing right. 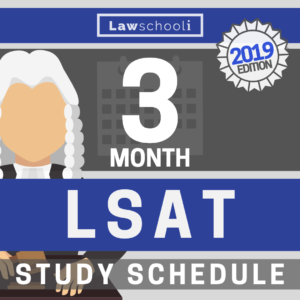 This is a general principle of LSAT test prep: you never want to be doing anything for the first time on the actual test day. If you make a new inference while doing a question and discover something that is always true about that game, make sure to quickly write it in to your main diagram. Also, when approaching each new question, think back on whether this same information was already given in another question. Did you already answer a question where L had to be on the third bench? If so, you should have it already diagrammed next to that other question, and can use this mini-diagram to help you answer the new question. This doesn’t happen all the time, but you can score quick points when you realize that you have already done some of the necessary work on a question. When starting out, a lot of people use a lot of scrap paper to do games, as the space you are given next to the question might appear impossibly tiny to do all this diagramming. Unfortunately, there is no using scrap paper on the actual test. Get used to using the space next to the games. Your main diagram should generally go in the middle of the bigger space down below the questions. A common type of logic games questions is one that gives you a new rule. It might say something like “If X is in the third spot, which of the following is an acceptable placement for Y?” When attacking these “If” questions, it’s best to just straight off draw a diagram that contains the new rule next to the answer choices. Do this and draw all the inferences you can before then attack the answer choices. Often one of the inferences you’ve now already made is the correct answer. Now, it’s going to leap right out at you rather than be difficult to find. Don’t waste time looking at the answer choices first: 9.9 times out of 10 you are going to need the diagram (and, remember, it can be useful for later questions) so just do it first. When There Are Not Many Possibilities For A Game, It Makes Sense To Just Diagram Them All Out. Sometimes after placement of the rules in your main diagram you will notice that choices have become so restricted that there are only two or three possible orderings of the variables. If this happens, just write out the two or three possible variants and go in to rapid fire mode answering the questions. Note that there might be some free floating variables still, but if there are only two or three ways you can order the fixed variables, then get it down on paper. Previous ArticleWhat Does “Of Counsel” Mean? Redoing old games that you haven’t done in a while is really good practice. After each game, make sure you had the set up just right. You want to pretend that you are teaching the game to someone else in your head and explain to yourself why you did what what you did. Hey, thanks for the quick reply! I’ll probably check out the LSAT 180; sounds like what I need if I want more practice while rationing actual preptests 🙂 I’m definitely planning on redoing the games as well. I graduate in June but I only have spring term left so I have fall and winter off for LSAT and apps. Unfortunately, I won’t have room to take an additional class; gotta finish ChemE requirements haha. Side question: Is it better to ask you guys via email or comments on the blog? Thanks again! Comments is usually the best. I haven’t checked my lawschooli email in a bit while I’ve been traveling. Josh is swamped too. We always see the comments. Best of luck with your logic games progress! I tried to look for Kaplan’s LSAT 180 but it seems to be out of print… do you have any suggestions for what might be a good alternative? Sorry, I don’t know anything off the top of my head. Tried to find a used copy somewhere there must be some out there. I’ll keep an eye open for something that might be helpful.